The Bellevue School District (BSD #405) serves the communities of Bellevue, Clyde Hill, Medina, Hunts Point, Yarrow Point, Beaux Arts Village, and portions of Newcastle, Kirkland and Redmond. The current enrollment is approximately 17,000 students. Bellevue schools annually receive top national rankings, including all five high schools. 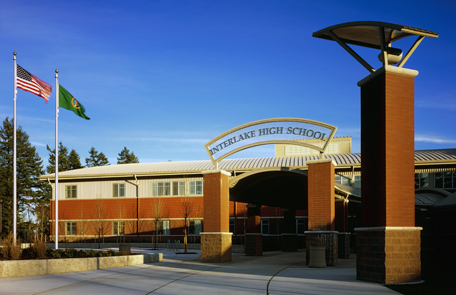 The International School, Bellevue High School, Interlake High School, and Newport High School were all ranked in the top 100 public schools nationwide by US News in 2010..
Bellevue schools consist of 16 elementaries; 5 regular middle schools and 2 alternative schools (Robinswood Middle School and International School); 4 regular high schools and 2 alternative schools (Robinswood High and International School). Bellevue School District’s Board of Directors is made up of five members of the community, each from a separate geographical district. 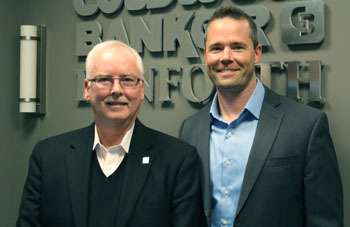 Members are elected to four year terms. 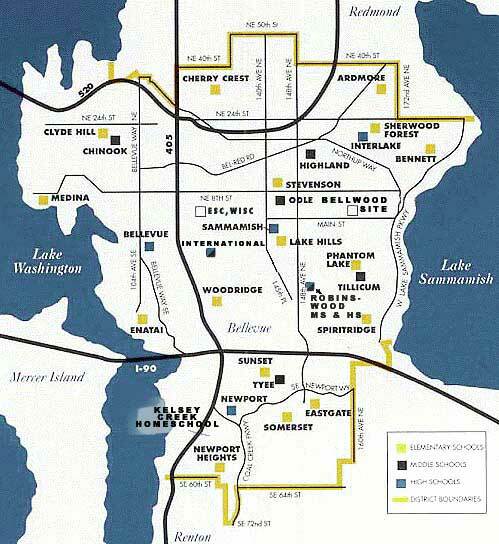 School boundary maps are created and hosted by the Bellevue School District. Any and all information should be verified by the individual student's family or potential home buyer.